Labor unions and employers have always been sparring partners with both mutual and opposing interests. The unions want to negotiate the best wages and benefits for their members, and employers want to have productive employees and make a profit. These objectives are not always at odds with each other. While an employer may feel that a union is always a damper on his business, unions do bring certain advantages to a company, as well as disadvantages. 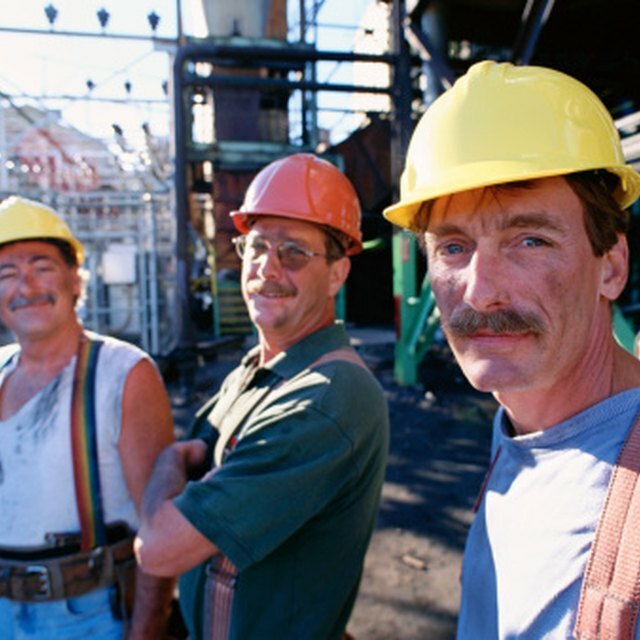 Employers with unionized workers have the assurance of a stable and well-trained workforce. Unions often have their own programs to train employees in their trades, relieving employers from the cost of training inexperienced workers. Well-trained employees create better and safer work conditions. In return, employers have fewer days lost because of work-related injuries or illnesses. Labor contracts give the employer the ability to more accurately predict future operation costs for a fixed time period. This makes it much easier for the employer to control costs, develop product pricing strategies, plan for expansion and invest in new product development. Employers will have less employee turnover and will have union assurance that more workers will be available if needed. Negotiating a contract with one party, the union, is much easier than having to negotiate a wage and job description with each individual employee. Union rules base raises and promotions on seniority, not performance. This kind of environment discourages employee creativity and individuality. Therefore, the employer is deprived of improvements in productivity because the employee has no incentive to do a better job. He gets nothing for doing better. Employers cannot always know about adverse conditions in the workplace and must depend on their employees to report these problems to management and make suggestions for improvement. Without feedback from employees, management is often not even aware of problems in the workplace and is, therefore, unable to find solutions. Since union contracts specify exact wages and raises for each position, the employer has no way to reward exceptional employee performance. Many employers without a unionized workforce have incentive plans for employees who perform above normal expectations. These plans encourage employees to do a better job and reap the benefits. Union contracts take away these incentives. On the other hand, union contracts also make it difficult for an employer to discipline or terminate an employee. Even in such cases as employee theft, the only choice for an employer may be to move the guilty employee to another position. Contracts with labor unions can result in substantially higher wages and benefits. Unless workers become more productive, employers could be forced to charge higher prices for their products, making them less competitive. In the worst case, an employer could experience a decline in profitability, forcing him to lay off employees or even jeopardizing the survivability of the company. In those situations where unions and employers cannot agree on contracts, labor unions could interrupt work flow by calling for strikes. Automakers, especially foreign manufacturers, have dealt with high-cost union contracts in the U.S. by building new plants in states where unions are either not strong or do not exist.